Eating breakfast is important. Breakfast gets your body and mind started and keeps you feeling energetic and alert all morning. However, what you eat for breakfast matters. 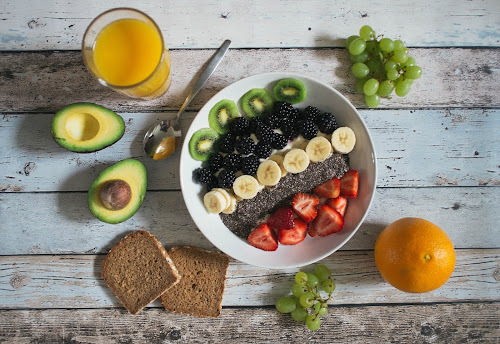 If you choose a breakfast that isn’t filling or that doesn’t have what your body needs, you’ll be much more likely to feel hungry and sluggish before lunch time rolls around. Here are some tips for having a healthy breakfast that will keep you feeling full and satisfied. Eating more protein in the morning keeps you feeling full and prevents snacking before lunch. Adding protein to your breakfast is easy. A simple solution is to eat eggs, but there are many other ways to get a good amount of protein your morning meal. Sausage, bacon, ground turkey, yogurt, quinoa, and peanut butter are just a few options. Try adding nuts to your oatmeal, for example, to boost the protein. Foods that are high in sugar are also foods that your body burns through quickly, leaving you feeling tired and sluggish before noon. Avoid sugary yogurts and cereals, as well as doughnuts, muffins, scones, and other such foods. Instead, a good option is choose low or no sugar options and then sweeten your breakfast with berries. They’re great in oatmeal, yogurt, and many other delicious breakfasts. You’ll also want to avoid breakfast foods that are high in salt. Eating too much salt is bad for you for many reasons, and many typical breakfast foods have more salt than you may think. Plus, eating a lot of salt can cause you to crave more food, which isn’t optimal. Read labels before you eat and try to stick with low salt options whenever you can. It takes longer to burn complex carbohydrates, such as whole grains. This means they give your body and brain more energy and they keep your blood sugar stable for longer. Stay away from simple carbs like doughnuts, cookies, and many breakfast cereals. Your body burns these quickly, meaning you’ll be much more likely to experience a “sugar crash” mid-morning. Healthy fats also keep you feeling full and satisfied for longer. That’s why avocados are such a good choice for breakfast (and likely one reason why avocado toast is so popular!) Nut butters are also also good source of healthy fats, just try to stay away from the ones with a lot of added sugars.